The little girl in this video is obsessed with the moon. But when she tries to grab it, she just can't quite reach it. 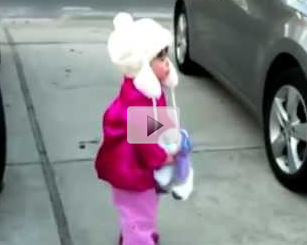 Watch as she reacts to her dad telling her to reach and grab the moon.